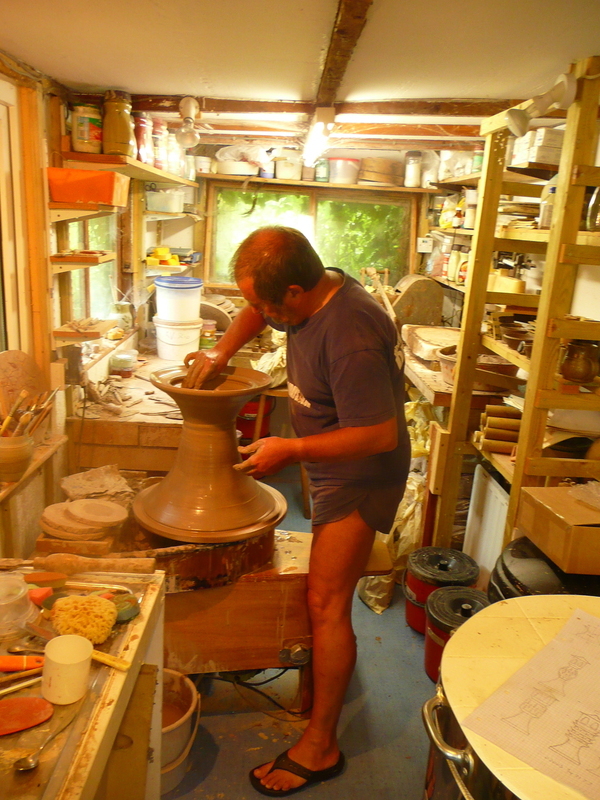 David Emery has been working in ceramics for 40 years. He set up a co-operative studio in London producing a range of domestic stoneware whilst also experimenting with finely carved studio porcelain. 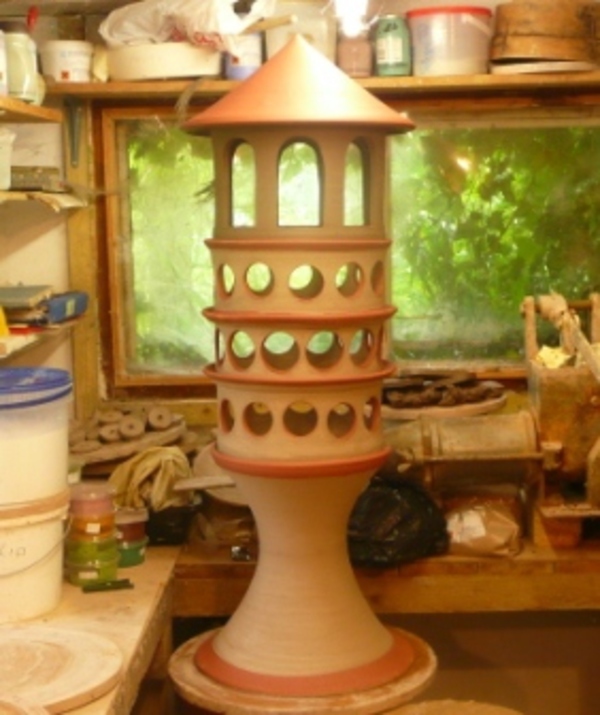 On moving to Dorset some 30 years ago he built a large gas fired kiln and spent much of his time developing a range of both functional and highly decorated reduction stoneware. David is a great believer in pushing boundaries and evolving into new areas. In recent years he has been exploring the use of highly coloured metallic lustres combined with a strong use of decorative slips and on glaze colouring. 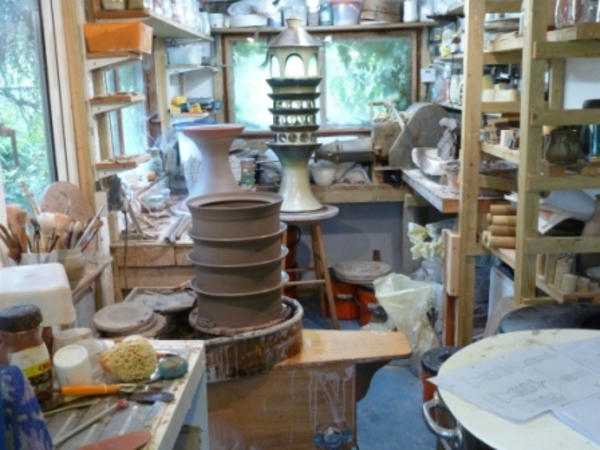 He has now developed a range of Cone 6 oxidation glazes combined with coloured slips and on-glaze colours. Cone 6 is at the lower end of the stoneware firing range and is not exploited by many potters in this country who still prefer to fire to higher temperatures. However, at cone 6 the clay is fully vitrified and just as durable but most importantly requires significantly less electricity to fire and the kiln elements last much longer. 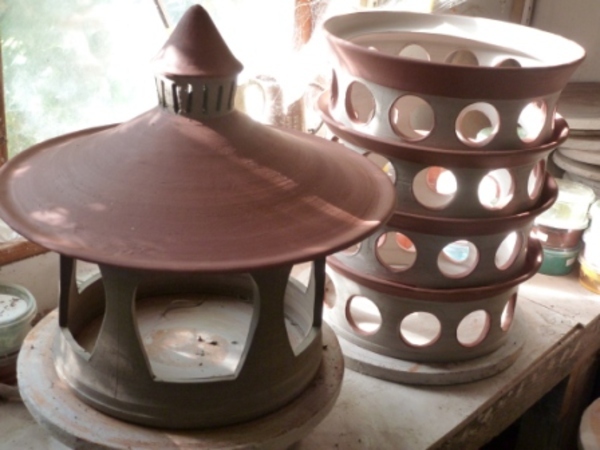 He has been using a very well insulated kiln which combined with the output from the solar panels on his roof has dramatically reduced firing costs as well as being very environmental friendly. One of the themes he keeps returning to is producing decorative sculptural pieces for gardens. Influenced heavily by Japanese screen prints he has been producing bespoke designs as commissions for different gardens, some of which are up to 7 ft high. The limited use of particularly gold lustres for garden ware is unusual but does create unique effects that complement and lift creative landscape gardens. 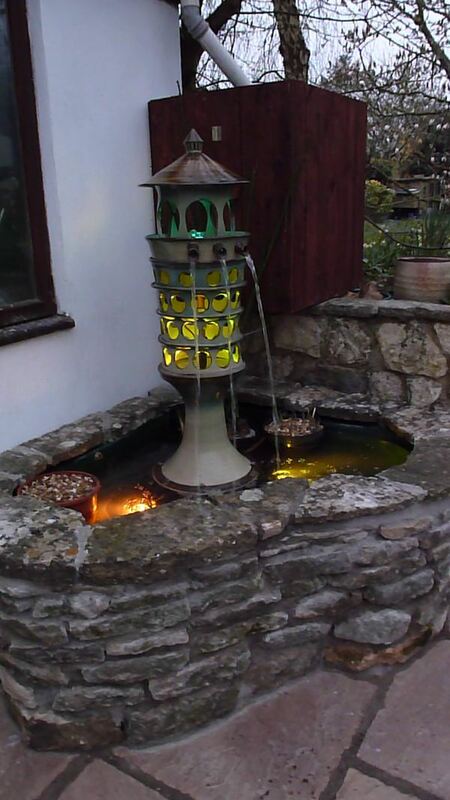 He is now developing sculptures which are heavily carved which enable the use of lighting to create stunning effects at night as well as incorporating a small water pump to create a water feature. The garden sculptures are modular in design which enables the wall thickness of each thrown form to be kept relatively thin which allows carved sections to look in proportion with the external shape whilst retaining considerable strength. This when combined with the use of good quality stoneware clay makes them extremely durable outside. By leaving the two surfaces of each section un-glazed a cement based mortar can be used to produce a strong durable joint using the same coloured pigments used in the glazes to colour the cement.